As a little girl, I always said I wanted to be a writer, a teacher, and a world traveler. I’ve done it all and then some! Since my work gets published several times a year and I have a life, I’m not always on top of updating this page. I didn’t start a list of publications until a couple of years ago, so some of my early work had timed out. Sometimes I had links which are live when I find them, only to discover that the periodical archived them and the links aren’t good any more. So, please just look at this as a representation of my writing, not the whole list, not even all of the most recent. I sometimes write and send off an article in an afternoon and then forget I even did it. I also publish articles on this website or on LinkedIn, so you can look there, too. 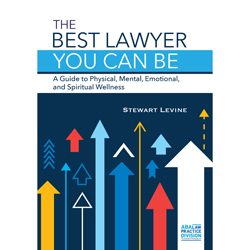 THE BEST LAWYER YOU CAN BE: A Guide To Physical, Mental, Emotional and Spiritual Wellbeing, Stewart Levine, Editor. 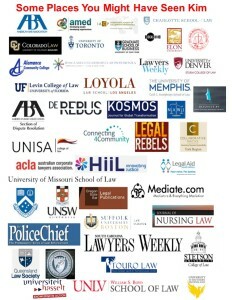 American Bar Association Publishing. August, 2018. Contributor, Sixth Edition, 2008; and Fifth Edition 2003, What Can You Do With a Law Degree, by Deborah Arron (Decision Books). The Conscious Coach: Legal and Ethical Issues for the Professional Coach, Legal Toolkit, for the Conscious Coach, 2001. E-Book/Workbook. Part of the Coachville Expert Series. Are You a Relational or Transactional Practitioner? 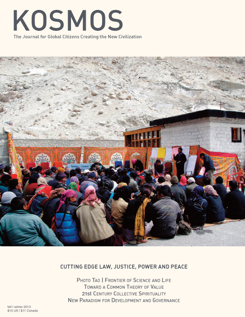 Just Resolutions E-Newsletter, American Bar Association Dispute Resolution, February, 2018. Expected out in July, 2018. 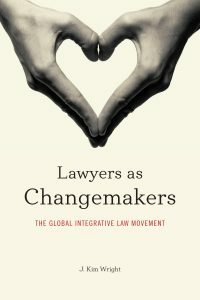 Integrative Law: Evolution of the Legal System, Law Practice Management, January, 2016. Early 2000s: Regular columns in the following coaching journals [many of which were co-authored with Allison Tiffany]: Coachville Coaching Scoop; International Coach Federation Organizational Coaching Journal; Coaching World; Coaching Zone. 1995-1996 Co-author, weekly column in the Burlington, NC Times-News on legal issues for consumers. (Also ghostwrote several columns attributed to Bob Martin who shared the column with me). Should Law Enforcement Agencies Apologize for Mistakes? Chief of Police Magazine, with Randy Means (Police Legal Advisor) February, 2006. 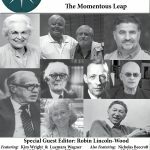 Several articles in The Collaborative Review, the publication of the International Academy of Collaborative Professionals, including Honoring Conflict as an Opportunity for Transformation, Spring, 2006, with Marty Price; Seven Steps to Transforming Your Life and Coaching Skills for Lawyers, (two articles) Collaborative Review, Fall, 2003. Should You Advise Clients to Apologize? 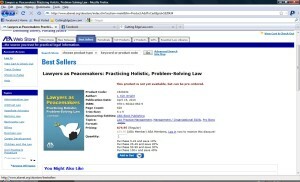 Printed in North Carolina Bar Journal, Summer, 2005 and Spring; 2005 Bar Briefs, 28th Judicial District Newsletter; and revised and reprinted for a newsletter for nursing home professionals, for CuttingEdgeLaw.com, and revised and included in Lawyers as Peacemakers. 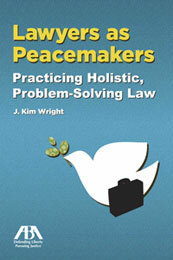 Visionary Law: New Approaches Expand Choices in Law Practice, By: J. Kim Wright, J.D. and Dolly M. Garlo, R.N., J.D., Journal of Nursing Law, Fall, 2002 and August, 2001: ABA Law Practice Management Quarterly, Vol. 2, No. 3. Stop Being Scared of Your Legal Documents, Conscious Company Magazine, January, 2017. Creating a Vision of Home, Itineraries, Envisioning Community, Winter, 2010 issue. Honoring Conflict as an Opportunity for Transformation, Western NC Woman, April 2006.